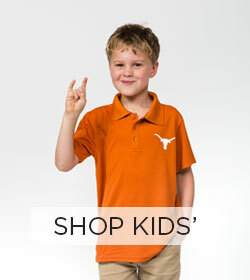 With the Infant Longhorn State T-Shirt, the littlest of Longhorns can easily show off their Hook 'Em spirit! 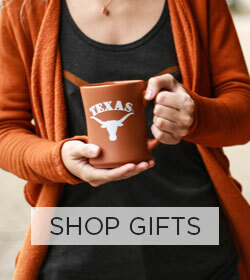 This tee features the Longhorn logo cutout over the state of Texas and a crew-neck collar. This 100% cotton shirt is the perfect top for Game Day or any day! Machine wash cold with like colors. Tumble dry low. Do not iron decoration.